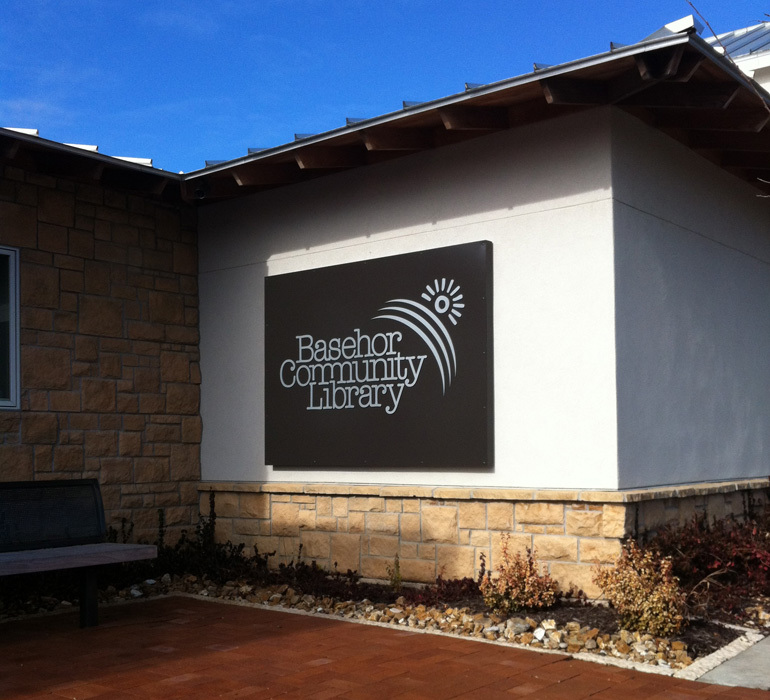 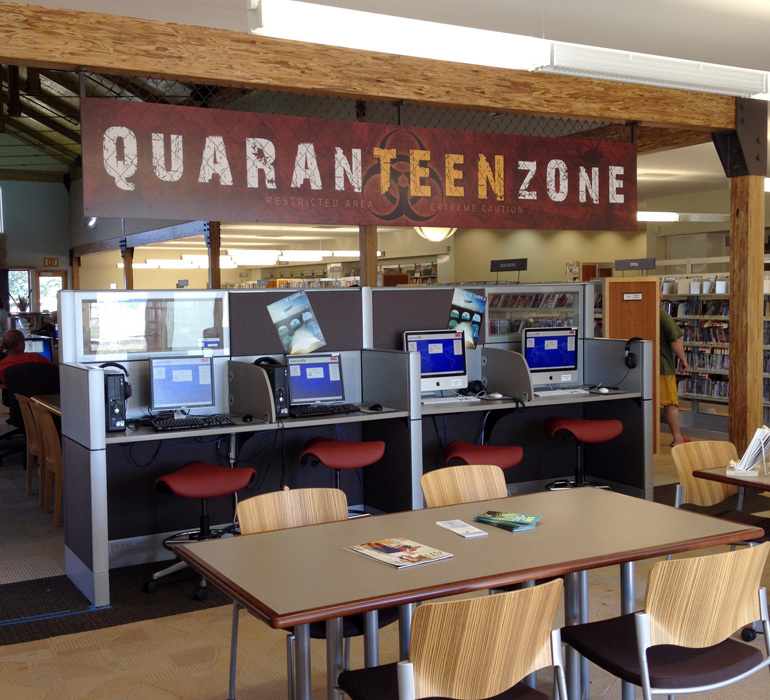 Basehor Community Library reached out to us with a need for signage and wayfinding for their new library in Basehor, Kansas. 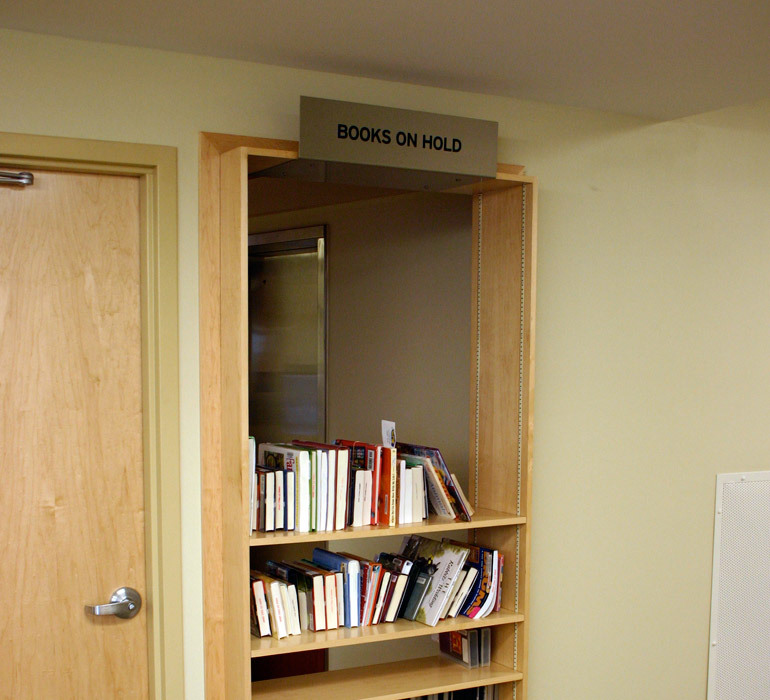 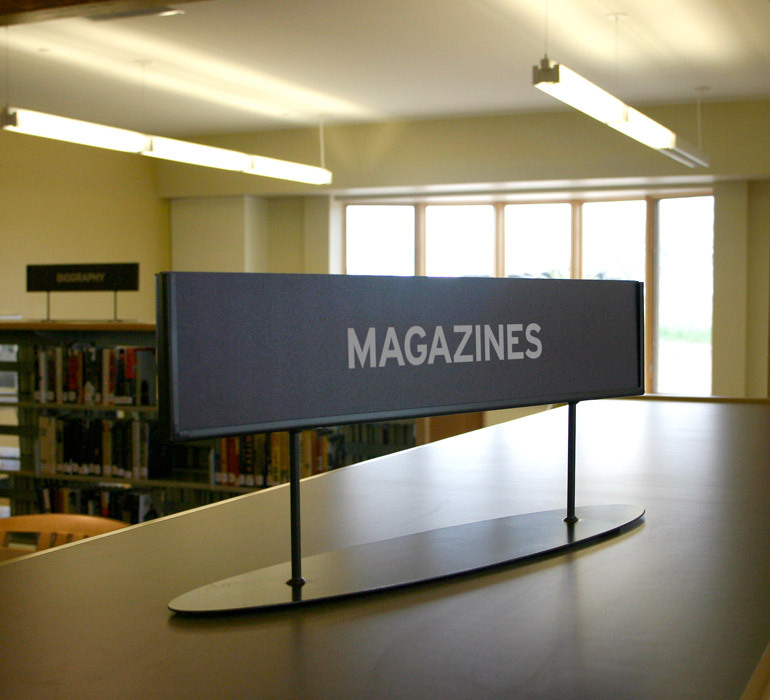 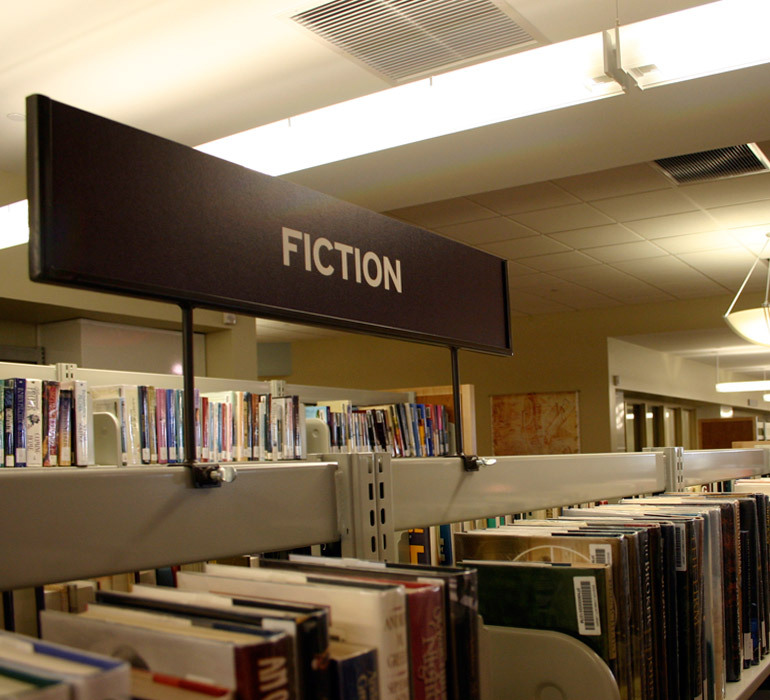 Our design concept for the library identification system was to fabricate a sign type that would integrate the existing shelving system in color, material and construction. 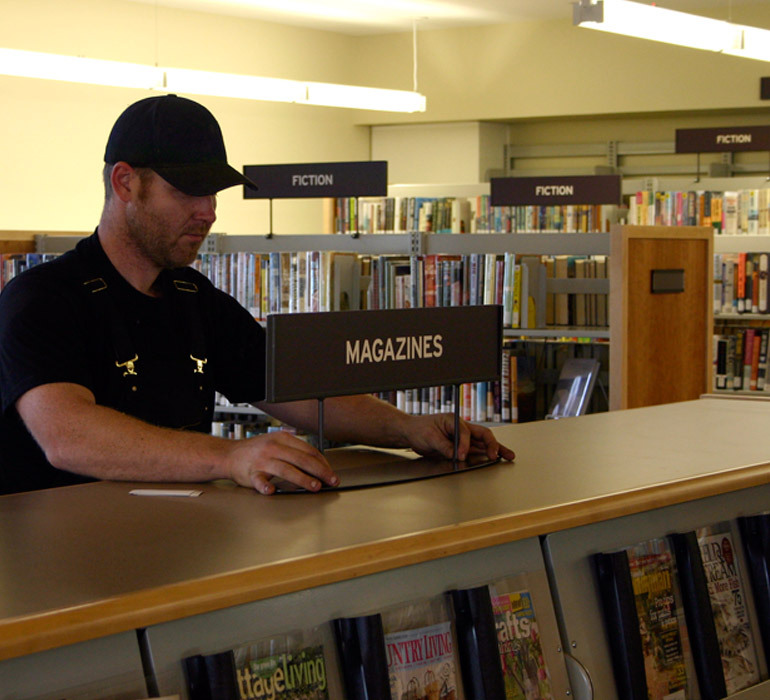 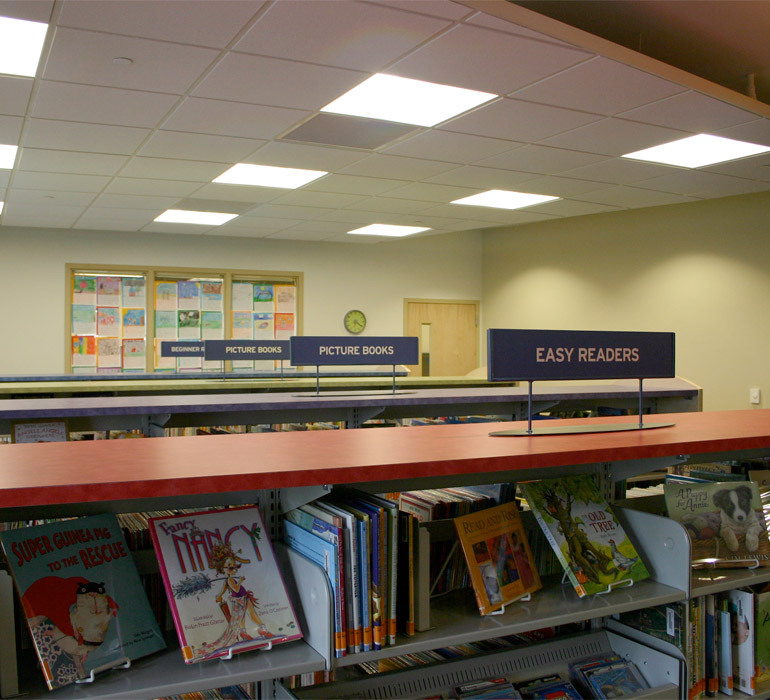 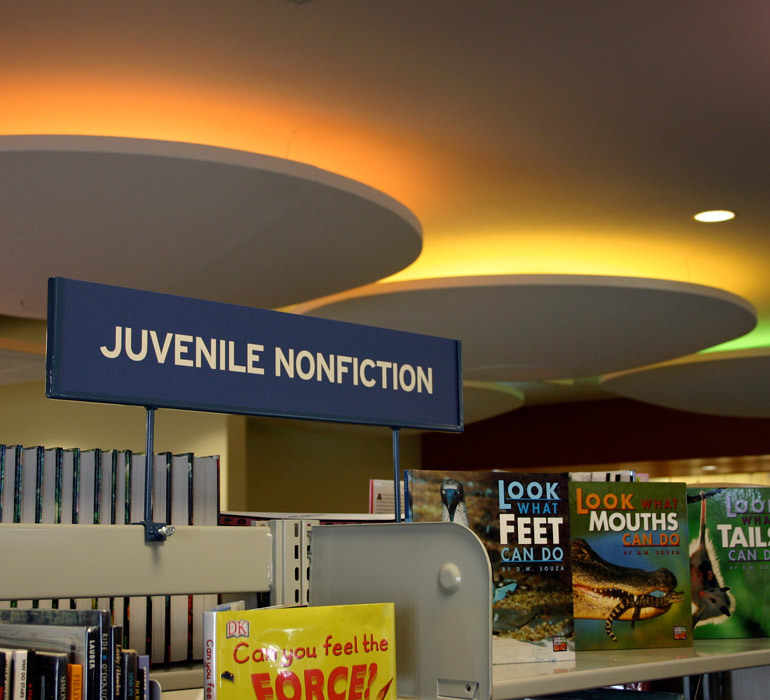 Our custom solution allowed the library staff to update, move and rearrange the organization of the library without needing tools, ladders, special equipment or added cost. 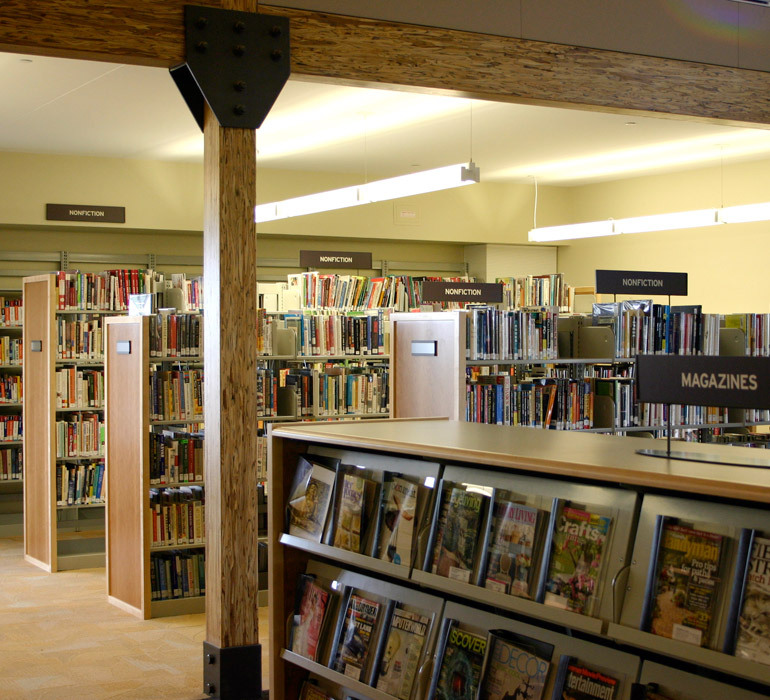 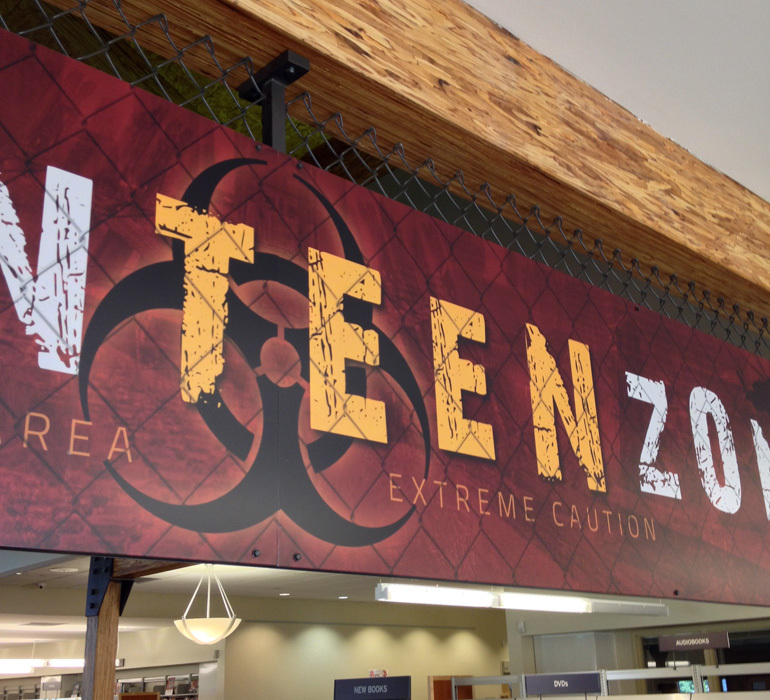 In addition to the wayfinding we provided the library with custom address identification, vinyl and other graphics that matched the overall theme.